The Ramblings of an Endurance Junkie: September 2014: Training Ramblings.....'cross season is upon us! September 2014: Training Ramblings.....'cross season is upon us! September finally arrived and that meant the start of cyclocross season.....something that I had been looking forward to for a while. Having got back into 'cross in 2013 after a 10 year hiatus, it was good to be back and have fun riding the dirt again. A new bike for 2014 and the season goal of upgrading from category 3 to category 2. 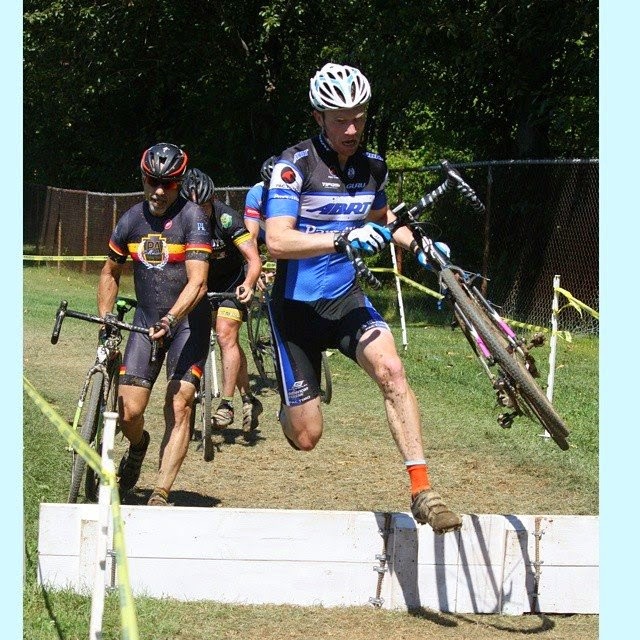 The first race of the season was up in Pennsylvania at Nittany Lion Cross which was part of the MAC series and meant having to race the Masters 1,2,3 race. As a Cat 3 it means being a low man on the totem pole so really I had no expectations and was a warm-up for the rest of the season. Ended up up 39th in a competitive field and got to work on my technical skills which are always a a bit rusty in the first couple of races. 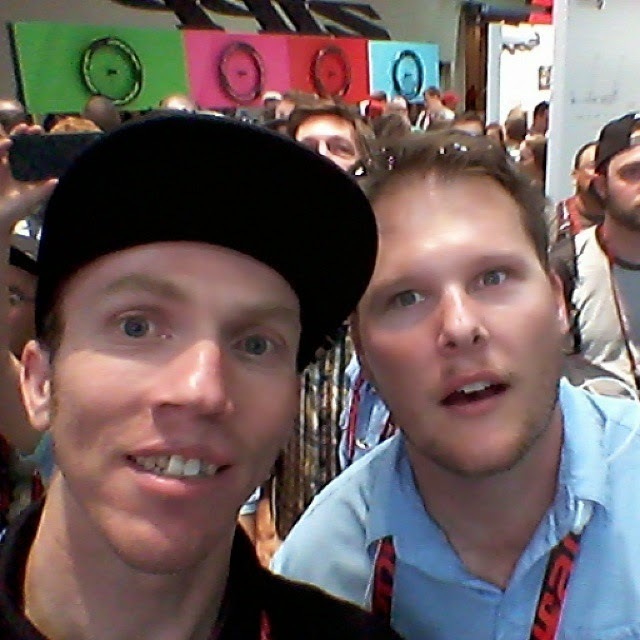 Next up was the annual trip to Interbike and Las Vegas, which is always fun.....watching Cross Vegas, seeing the latest and greatest in the bike world and hanging with The Jones! Not good prep for a Sunday race the day after a delayed flight but fun nonetheless. An early morning start after the flight home from Vegas and we were off up to Ft Ritchie for the first race in the MABRA Sportif Cross Series. A dry and bumpy course started off well in the Masters 3/4 field, which saw me take the lead on the 2nd lap only to suffer a mechanical (handlebar slippage) and losing time in fixing it. Came back to finish 10th but ultimately losing critical series points in a series that I had targeted to win as another season goal. The next ten days were awesome as we had the Wright family out to visit....meeting Gracey for the first time and spending quality bonding time with a fast-growing Hunter, even if he did call me Auntie Iain for the most part ;-) Another race came along at a competitive and brutal course at Charm City cross in Baltimore (probably the regions biggest race). Not sure if Hunter really got what was going on but he loved the cowbell! This race was encouraging as again it was the more competitive Masters 1,2,3 field and I had a good finish in 26th, not too far behind some of the bigger hitters in the local MABRA Masters 1,2,3 field. Good progress as the first month of the cross season came to an end. 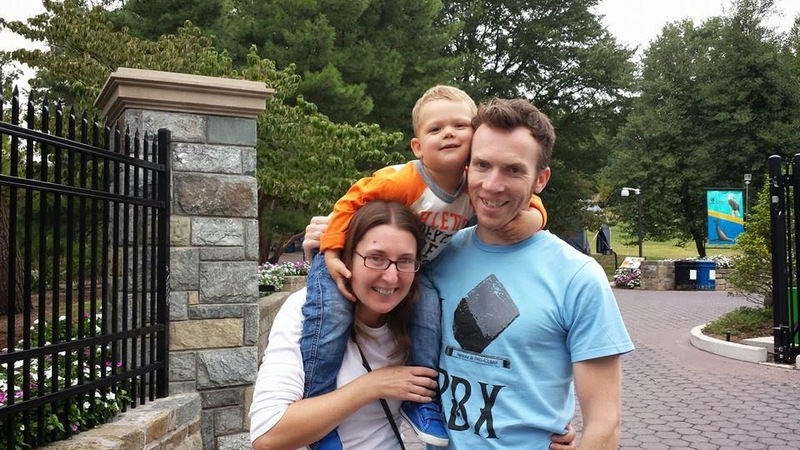 As if racing three cross races in September wasn't enough, the final triathlon of the season came along at the end of September at the local Tri for the Chesapeake, which Parvilla Cycles was a co-sponsor. Although only a sprint triathlon it was a fun course - a great swim in the Rhode River, a two-loop bike within the SERC center and then a 5km run on the trails of the Center. 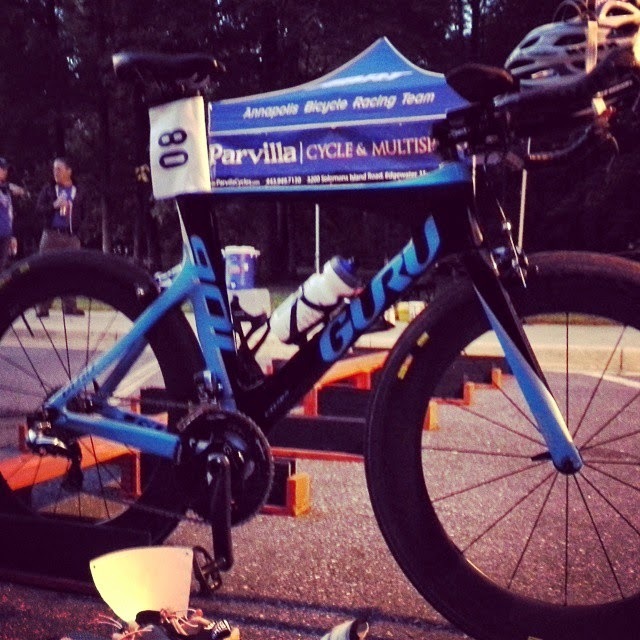 It was very much a local triathlon but it was still nice to take the win and represent Parvilla Cycles at the races. A good end to the tri season.....now back to a'cross focus for the rest of the year. With four races on the weekends and a few days in Vegas, it meant that the overall training volume was lower than usual but critically it means that quality takes precedence over quantity. Although only 45-50mins long, cross races are full gas all the time and takes a lot out of you...being able to recover get a few days of training done and then rest for the weekend it pretty much the recipe to race well. Holler Mountain blend features certified organic coffees from Central and South America and Indonesia. As with all of our coffees, the producers who contribute their coffee to this blend devote attention to the cultivation and processing of the coffee.